While it might not be all together true that Microsoft was keeping an eye on PopScrap's international successes due largely to GoDaddy's reliable hosting services, it is true that Microsoft has announced a global partnership with GoDaddy to offer Office365 to small businesses. PopScrap.com Inc. has earned a glowing international reputation for reliable trustworthy scrap recycling software that is hosted by GoDaddy. PopScrap has been proud to use GoDaddy services since 2011. GoDaddy has allowed PopScrap.com to grow our business by offering reliable hosting services that has encouraged hundreds of businesses from around the world to operate their multi-million dollar scrap metal businesses. Looking for a great software package for your CRV (bottle beverage recycling) or small scrap metal buying business, this is your #1 solution. Call 888-440-8858 to get started today. New CRV Prices effective January 1, 2014. The GREATEST feeder yard software ever invented!! If you're a large scrap metal processor like StemCor (STEMCOR - Steel Marketing Corporation -- a British steel trading company based in London, UK, and has 145 business units in 45 countries around the world, employing more than 2000 people) or Bottle Beverage Recycler like rePlanet in California, then you know what its like trying to support all of your feeder yards; keeping track of all the transactions, finances, compliance etc. PopScrap.com Inc., has developed the easiest-to-use and most affordable feeder yard software the world has ever experienced. Our larger clients that are using PopScrap have started rolling out PopScrap to all of their smaller feeder yards due to the ease of install, ease of use and low start up cost. PopScrap can operate across international borders, use any currency in any time zone and offers the program in several languages with Spanish as the 2nd language. PopScrap has modifed its pricing scheme to allow the smaller operators who buy scrap metal and bottle beverage containers to get in for $3490 including the software license, training and 1-10" tablet with a receipt printer. For small yards who need full compliance can get in for $9,990. This combo package allows the operator to create full state compliance tickets and allows the capturing of images for ID's, customer face shot, material image, vehicle image, fingerprint image and signature from 5 scale stations with hardware, install and training included for 2 scale stations. PopScrap really is changing the industry by lowering the entry level costs with less expensive software and lowering the overall cost of compliance hardware. Getting started with PopScrap is simple and free. 3. PopScrap will create your company profile with materials and prices. All of this can happen in 1 hour or less. PopScrap.com Inc. is growing globally at an expotential rate. No matter where your scrap users are located PopScrap is the only internationally based software provider that offers instant downloads, instantly connecting locations in the cloud with real-tim scrap data while collecting a plethera of local images to meet the compliance demands of local regulators. For the first time in the scrap industry a true "ground-breaking-game-changing" product has arrived and has been matured by the use and feedback of over 500+ daily worldwide users. Amazingly PopScrap has been able to keep the upfront cost at 50% less than its competitors who cannot and do not offer the technology advancements of PopScrap. PopScrap is responding to that demand by creating and designing our apps to meet their very specific language and currency needs. New versions are on the way, including PopScrap-EU (European Union), PopScrap EA (EuroAsia) and PopScrap-UK. PopScrap.com Inc. announces a new client and sales partner in Mexico. Engrane Verde S.A. De C.V has signed on to use and represent PopScrap-MX the first US based scrap recycling solution to come standard in Spanish and English. We are very excited to have a such a strong partner in Mexico and to have such visionary leaders in the international recycling industry willing take PopScrap.com Inc to many new countries throughout South America. PopScrap is an android application that is paired with a web based application named BOSS (back office support software) that runs on Windows and Mac machines thanks to our friends at BlueStacks.com. PopScrap has a strong international presence already and bringing on Engrane Verde as our respresentative for Mexico and throughout South America will only solidify PopScrap as the #1 recycling software solution worldwide and ensure for many years to come our desire to be the world leader in scrap software solutions. This new PopScrap feature takes the electronic signature pad to a whole new level. By using a 7" or 10" tablet, your customers can now pre-check out and reduce the time spent at the cashier booth. This new feature will speed up your ticket line by getting a customer image, getting a signature, allowing the customer to read and sign the disclaimer before getting to the cashier booth to get paid out., all on a $70 tablet , a savings of $500! Only PopScrap cares about the upfront cost of getting you started, while other software companies are raising the prices, PopScrap is lowing them and helping to reduce long term costs with new features using new hardware technology like this Customer Facing App. In addition to its powerful front-facing speakers and bright screen, we loved the Galaxy Tab 2 10.1's epic battery life. Sure, it may charge slowly, but when you finally have a full battery the Galaxy Tab 2 10.1 will last you almost all day. On our tests, the tablet lasted a whopping 9 hours and 59 minutes. You won't find better battery life on an Android device. PopScrap announces a first of its kind in the Android world. True freedom for Android developers and companies who are using Android apps for their sales or support force. RAS = Remote Assistance Service = Remote In-App Support regardless of the android device. No matter where your Android devices are in the world you can now demo your app, train your staff or support your clients using RAS. RAS allows the user to request a remote support session and the Android Developer, in this case PopScrap.com can remote into the Android device and see in real time the user interface for that App. This allows the technician or sales person to fully control the UI in front of the potential client or train their field staff while both parties can see the UI. While some companies are already providing remote support for the OS, or the file management system, none are providing full UI support regardless of the make of the Android device. RAS is app specific and does not allow the tech or salesperson to get access to the Android outside of the authorized App this new tool provides a powerful tool for developers and companies needing to sell or support their Android app. PopScrap.com continues to provide game changing software to the world and RAS is no exception. PopScrap offers the world first android scrap app that is fully state compliant in all 50 U.S. States and offers global settings for any country in the world. Scrap App, the App runs on Windows 7/8 PC and smartphones and tablets. Offering the most affordable scrap app for anroid in the world. Easy to use with the largest buttons in the industry. The Scrap App Instantly works in English or Spanish. The is currently in use all over the world buying metals and shipping millions of tons across the globe. Download the Scrap App from Google Play, or from the download page on the website. Call 1- 888-440-8858 to get the demo username and password. PopScrap.com, the leader in Point of Purchase (POS/POP) scrap software and hardware solutions to the international scrap metal and recycling industry, announced today that state and local regulatory compliance is now affordable for the masses with new low monthly payment plans. Early adopters of PopScrap point of purchase technology are using it to make smarter business decisions than those using outdated local IT and server hardware. If you're looking for the most rugged, durable yet ultimately affordable Samsung Galaxy Tab 2 10.1 protection, you found it in the Drop Tech Series Samsung Galaxy Tab 2 Case. Shock absorption, drop protection, extreme ruggedness and hard-core readiness for all adventures, the Drop Tech Series Samsung Galaxy Case specifically conforms to the shape of the Samsung Galaxy Tab 2 and offers multiple layers of protection. 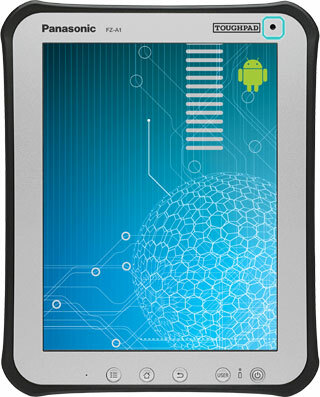 This transformer case features a unique, snap-on integrated screen for maximum protection. PopScrap goes HD, offering touch screen interfaces that have been desiged for large touch screen devices, tested and tried on 3" to 55" touch screens, PopScrap HD is truly a remarkable breakthough game changing product for scrap yards and recycling faclities worldwide. While most users are using 7" to 22" touch screens the user interface offers the industries largest buttons for ease of use and a quick learning curve. In order for a scrap yard or recycling facility to be in compliance with state and local laws PopScrap offers the industries most rugged and reliable integration between the software and the cameras, ID scanners, fingerprint capture devices, electronic signature devices and cash dispensing machines with full integration into your QuickBooks accounting system. Scale Software is a standard requirement in today's compliance driven scrap metal industry. With metal theft at an all time high across the globe companies that purchase scrap metals are required by anti-theft laws to capture a lot of information and in most cases upload that information to the authorities at the end of each work day. Information collected at the scale station can include images of the vehicle the transported the scrap metals, image of the license plate, image of the material itself, image of the ID of the person who is collecting the money, fingerprint scans and electronic signatures. Connecting scale software to all of the hardware is quite a feat considering all of that information needs to be collected in a timely manner. Software companies like PopScrap.com Inc,. provide such a software product that does all of this and much much more. Connecting the scale reader to the computer is in itself a technological challenge considering scale technology has not improved in over 20 years. Still using RS232 9 pin DB9 ports to communicate to the PC when the PC itself has not had such connectivity options in the last 5 years. PC's these days come with USB and ethernet ports and com ports are a thing of the past. Someone please tell the scale reader companies that. PopScrap will connect to your scale through this RS232 connector and then convert it to USB, Ethernet, Bluetooth or install a com port card on the PC to accomplish automated scale reading. Scale software is a needed business tool in todays scrap and recycling industry. Purchasing software to run your scale stations and cashier stations can be pricey. PopScrap has developed the lowest cost solution while delivering the most innovative and state of the art software solutions. With the average yard paying less than $10,000 for the software, the hardware, the install and the training. This blows Nexus's software claim out of the water that they are the only company in the industry under $10,000. Get a grip on your compliance and get a package that is fully integrated and comes with world class support system. PopScrap is installed and used daily all over the world and has proven itself to be the industry leader in new technology while offering competitive feature list with all of its competitors. Need an android app for your scrap yard? PopScrap.com has developed a world class multi-site multi-lingual cloud based android application that also is formatted for Windows 7 and 8 Devices. PopScrap software is a fully state compliant software application with many if not most of the features offered by its competitors for a fraction of the price. PopScrap integrates with ID Scanners, Fingerprint Scanners, Singature Pads, Cameras, QuickBooks integration and ATM cash /coin dispensers. The android app for your scrap yard can be installed on most Android smartphones and tablets and be fully state compliant without the purchase of any other hardware. "This is revolutionary and will change the industry standards" states Popscrap.com President, Stacy Duty. PopScrap, like all android apps can be downloaded in seconds and you can be printing fully state compliant tickets in minutes. "It really is, so advanced...its simple", claims the company founder. Now scrap yards of all sizes and from anywhere in the world can access their data 24/7 because PopScrap offers a secure website that allows owners, managers and brokers to view the information in real time along with images. Even the local sheriff detectives are super impressed since PopScrap offers a website for the local authorities to view transactions in real time in an effort to curb metal theft and aleviates the need for the sheriff to visit the yard every time a crime report is filed. The scrap industry will never be the same, PopScrap has changed the game forever by offering lower prices, quicker installs with the largest buttons in the biz. Super easy is the first thing we hear from our customers and the owners are very grateful since PopScrap saves thier company a significant amount of time and upfront money when implementing PopScrap.